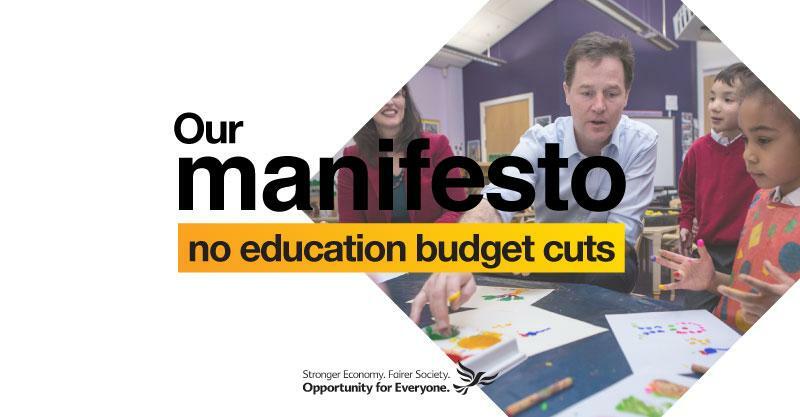 The Liberal Democrats will protect the full education budget in the next parliament, the Deputy Prime Minister announced today. Nick Clegg said the party would ringfence education spending for 2 to 19-year-olds. This means the Liberal Democrats would protect an extra £10billion of education spending based on this financial year, rising with inflation. Currently funding is only protected for children aged between 5 and 16. The Liberal Democrat leader made the announcement at his monthly press conference on Monday morning. Nick Clegg said: “Any parent knows that a child starts learning from the moment they are born and carries on learning all the way into adulthood. “My vision is of an education system that starts early and keeps children engaged all the way through. “That's why I believe we need to go further than the current protections for our schools. The Deputy Prime Minister added: “Money invested in our children is the best investment of all because education really can transform lives.